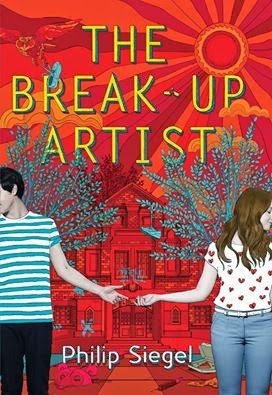 What did I expect when I started reading The Break-Up Artist by Philip Siegel? I’m not sure. I think that I was expecting something along the lines of the movie Easy A (which you should totally see if you haven’t): a warped satire on life and relationships in high school, centered on a girl but masterminded (for whatever it's worth) by guys. And while the novel starts out promising, it doesn’t exactly fulfill the expectations. Yes, it’s funny—frequently so. At least in the first half. The machinations of Becca’s plans are entertaining, and Siegel supplies her with a wry, likable personality. But as the story progresses and the action becomes a see-saw between Operation Steve And Huxley and Becca’s attempts to get Diane back into the world, that likability and wit melts into a soggy puddle, taking the plot along with it. The Diane plot takes up so much space and accomplishes so little that it just feels like filler. Spoiler alert: by the end of the book, Becca realizes that maybe what she’s been doing isn’t the best thing from a moral perspective. No duh. Too bad I didn’t come here for a redemption story. Apparently, Siegel is intending the book to be the first in a series—the ending leaves space for a second book, but if it’s not about breaking people up, then I’m not going to be interested.